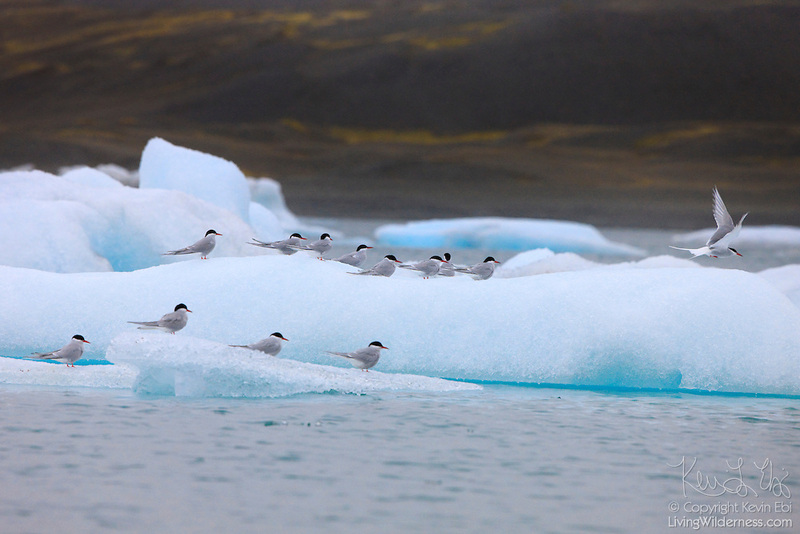 Several arctic terns (Sterna paradisaea) rest on icebergs floating in Iceland's Glacial Lagoon. Each year, it migrates farther than any other animal, summering in both the Arctic and in Antarctica. Copyright 2008 Kevin Ebi/LivingWilderness.com. All rights reserved.